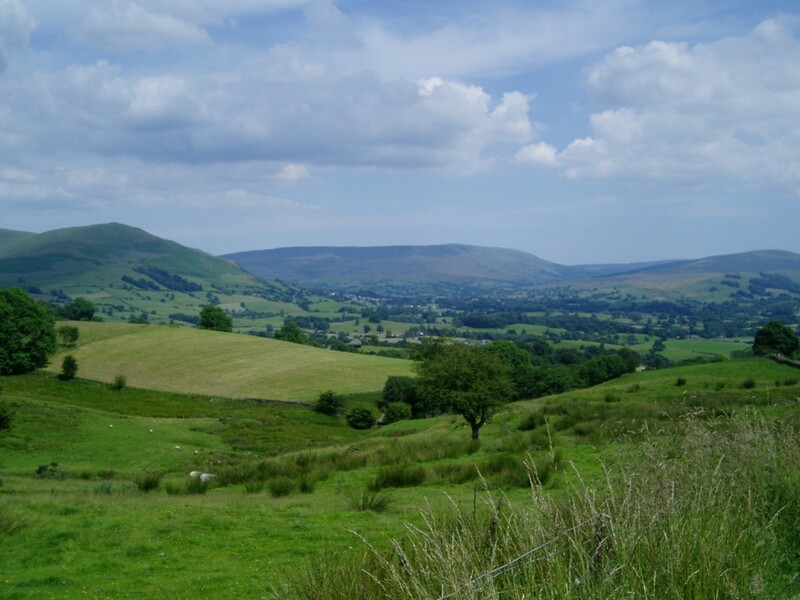 The watching world was astounded last year when it saw quite how spectacularly beautiful the Yorkshire Dales National Park is during the Tour de France 2014. It also reminded the British public how lucky we are to have the Dales and to think about visiting them again. As such, there's been a real surge of tourism interest in the Dales ever since. Well, we are very proud indeed to be able to offer unrivalled views of the Dales on one of our helicopter pleasure flights that will allow people flying with us to see parts of the Dales that they just couldn't any other way. Our 'Wharfedale Wander', flying this Sunday, 14th June from The Craven Heifer on the Grassington Road just out of Skipton, provides aerial perspectives of the Yorkshire Dales landscape that we think you'll never forget. With its dramatic limestone cliffs and escarpments, picturesque villages, valleys with fields criss-crossed by dry-stone walls and barns, miles of open, green space dotted with livestock and homely farms, the Yorkshire Dales National Park is one of England's great treasures. The 'Wharfedale Wander' will take you up the over the beautiful villages of Cracoe, Threshfield and the charming village of Grassington – home to the famous arts festival and nearby iconic Wharfedale Rugby Union Club – at the heart of the Upper Wharfedale Valley and the spectacular, cavernous Kilnsey Crag. The pretty village of Kettlewell, famous for its Scarecrow Festival – and adjoining the celebrated Buckden Pike – looks like a picture postcard from the air. Some flights also cover the historic town of Skipton – 'gateway to the Dales' – with its astonishingly well-preserved medieval castle dating back to 1090 and the charming Embsay and Bolton Abbey Steam Railway, together with the 30,000 acre Bolton Abbey Estate, with its prominent priory ruins nestling alongside the River Wharfe. The remarkable 'Yorkshire Three Peaks' flight is also available on the same day from The Craven Arms at Giggleswick, near Settle, taking in Ingleborough, Whernside, the Ribblehead Viaduct, Pen-y-Ghent and Malham. Malham Cove, Gordale Scar and the amazing limestone pavement look spectacular from the air; and, in this part of Yorkshire, you'll also have the privilege of incredible views of The Ribblehead Viaduct – voted as the most spectacular Yorkshire landmark in a recent magazine and Twitter survey. With its 24 arches, 104 feet above the beautiful landscape and surrounded by Yorkshire’s Three Peaks – Pen-y-Ghent, Ingleborough and Whernside, The Ribblehead Viaduct is a hugely impressive structure forming part of the much-loved Settle-Carlisle Railway. The market town of Settle can also be seen sitting under Attermire Scar with the crag of Castlebergh – an imposing limestone escarpment and local viewing point. All in all, the 'Wharfedale Wander' or the 'Yorkshire Three Peaks' is a trip of a lifetime, and we'd love for you to join us on it this weekend!